Welcome to The Evening Star Motel. 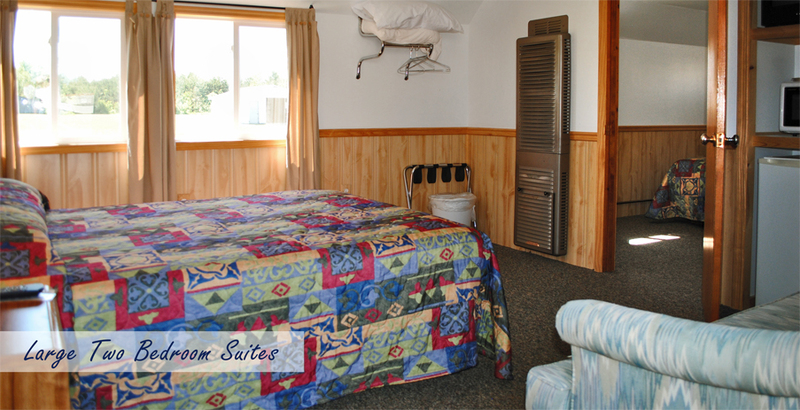 Our Upper Michigan Lodging includes a variety of the best travel accommodations in town. 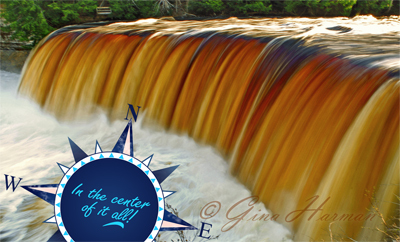 Located in Newberry, MI we are situated in the heart of Michigan’s Upper Peninsula and, “In the Center of It All”. 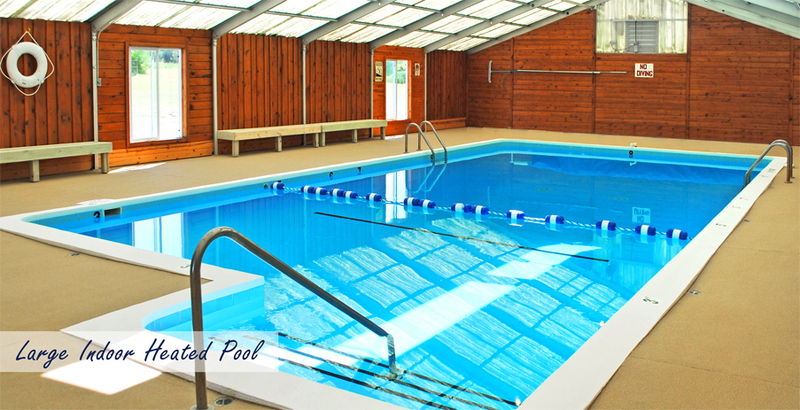 Guests can look forward to a relaxing swim in our large heated pool and the many local shops and stores within walking distance or our property. 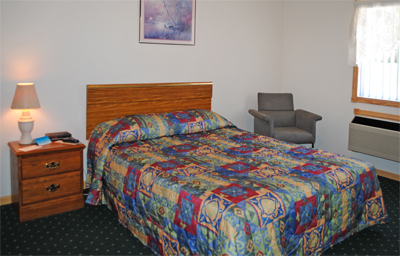 Whether you're traveling with your family or coming to town on an important business trip, The Evening Star Motel offers superb Upper Michigan Lodging that include comfortable rooms, suites and a large rental home. The Evening Star Motel of Newberry, MI is a 40 unit motel that offers guests a large variety of comfortable and clean rooms. 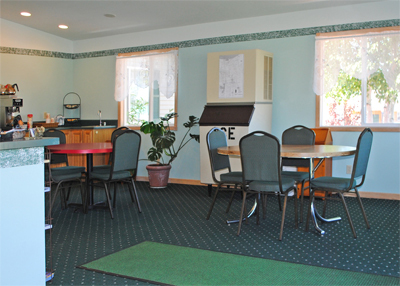 Our Newberry, MI Lodging offers a variety of room types along with a great amount of amenities. 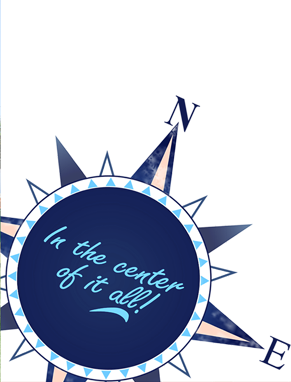 We invite you to visit our Newberry Lodging page to select the right type of room for you and your family. 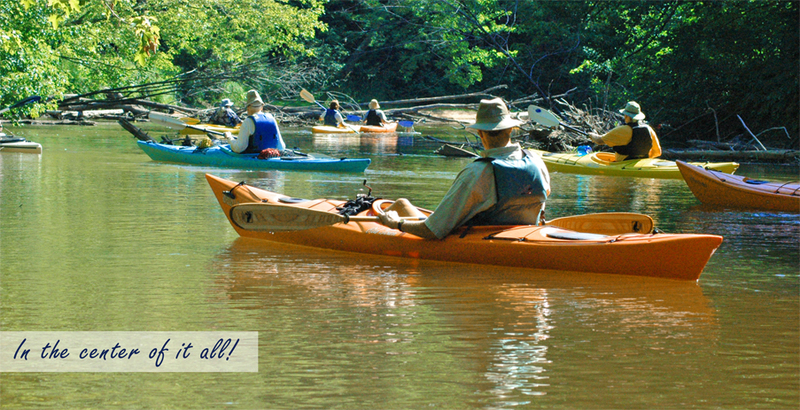 Let us help make your Upper Michigan vacation a fantastic and memorable experience. We also have designated "pet friendly" units available to our guests. Please contact us today to reserve your Newberry, MI stay. Visit our Newberry, MI Lodging page to learn more. 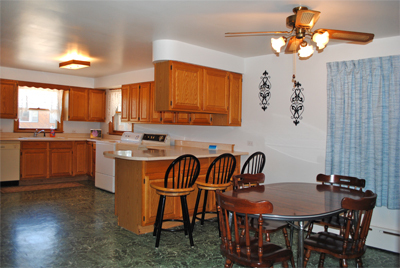 Our Newberry MI Rental Cabin has the space you need for vacations with family and friends. 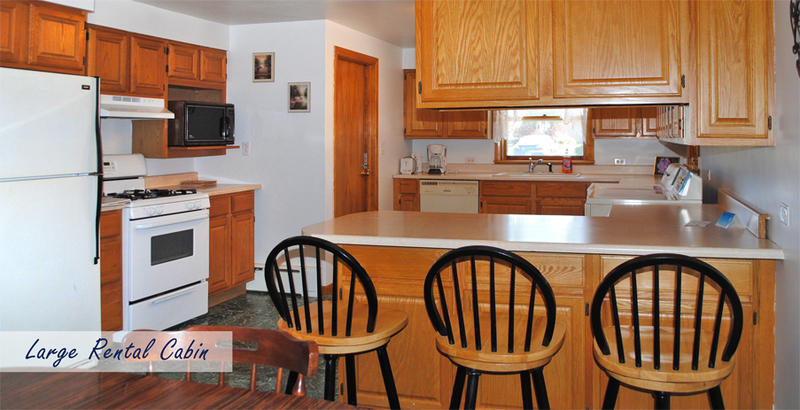 The rental cabin comes with everything you need: dishes, pans, silverware, plenty of cabinet space, dining area, washer & dryer, and three bedrooms. This is your home away from home - year-round. 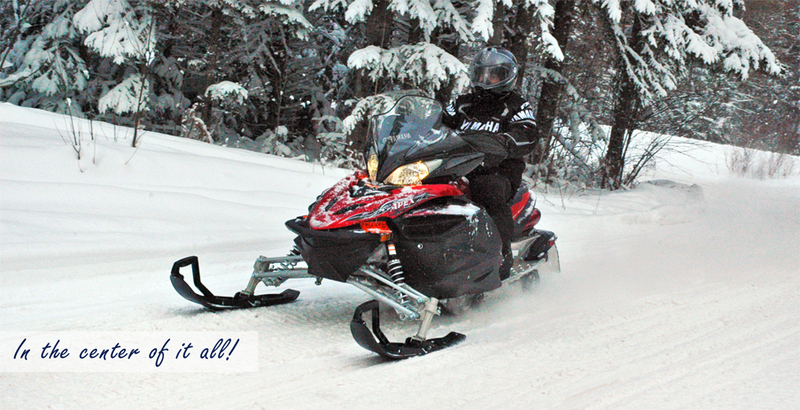 Snowmobiling groups enjoy our rental cabin every winter - our location makes us your first choice in lodging. 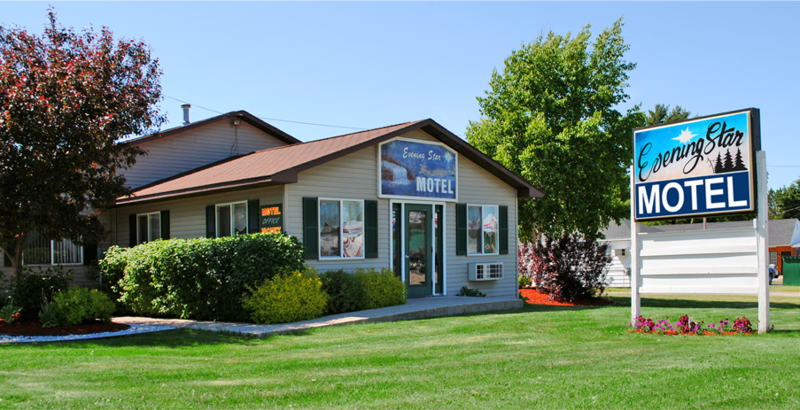 The Evening Star Motel is centrally located in the heart of Michigan’s Upper Peninsula. We are situated in the middle of a myriad of great Upper Michigan Attractions. 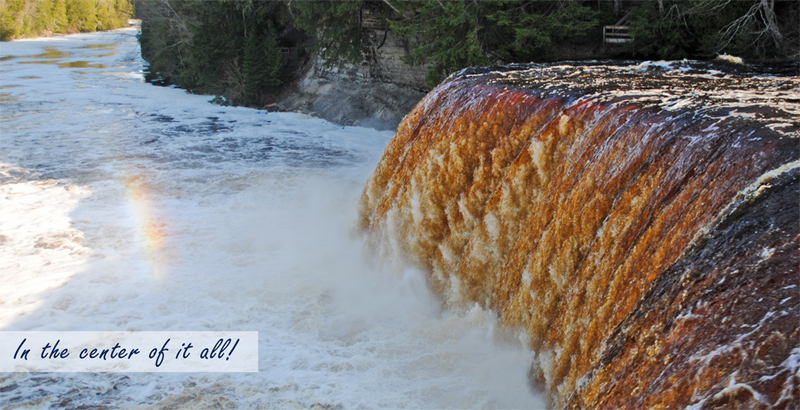 We are located within an hour of the Upper Tahquamenon Falls, Lower Tahquamenon Falls, The Great Lakes Shipwreck Museum, the Pictured Rocks National Lakeshore, Oswalds Bear Ranch, the Tahquamenon Logging Museum, and the Toonerville Trolley – just to name a few. We are also conveniently located close to gas stations, grocery stores, and restaurants. Visit our Newberry MI Area Attractions page to learn more. If you are looking to do some fast-action snowmobiling or enjoy a nice vacation with beautiful scenery, be sure to visit The Evening Star Motel. 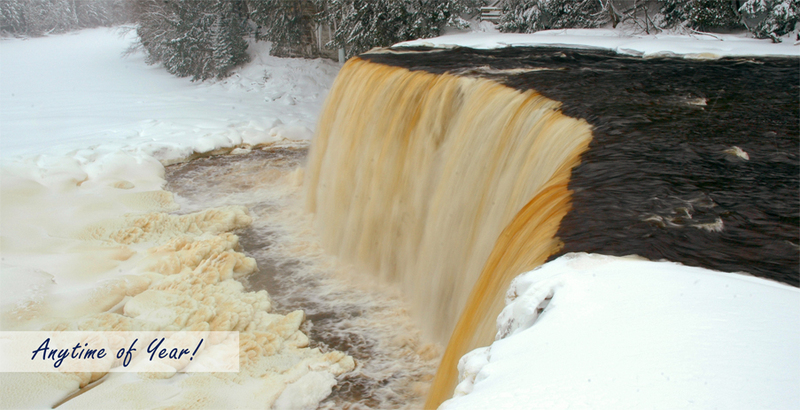 Nearby to scenic attractions such as the Tahquamenon Falls, we are conviently located to enjoy winter time sports. 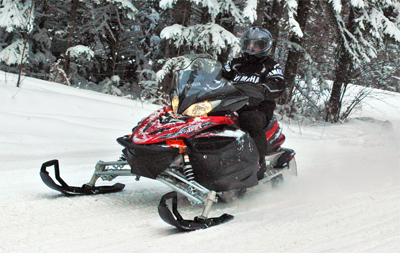 With snowmobile trails behind the property and gas across the street from our motel, this is the perfect place for snowmobile trips. Join us in our front lobby for morning coffee. Our comfortable sitting area also has TV, area information, brochures, and a comfortable decor. Ice is also available in our lobby. 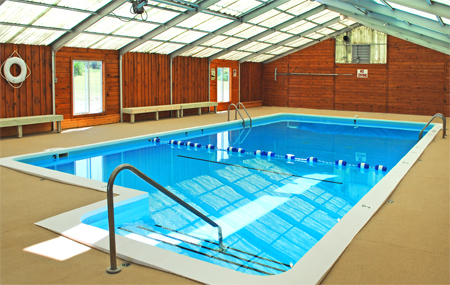 Contact us or stop by our Newberry, Michigan motel for a great selection of amenities including, rental cabin, 2 bedroom suites with kitchenettes, and our indoor heated swimming pool. 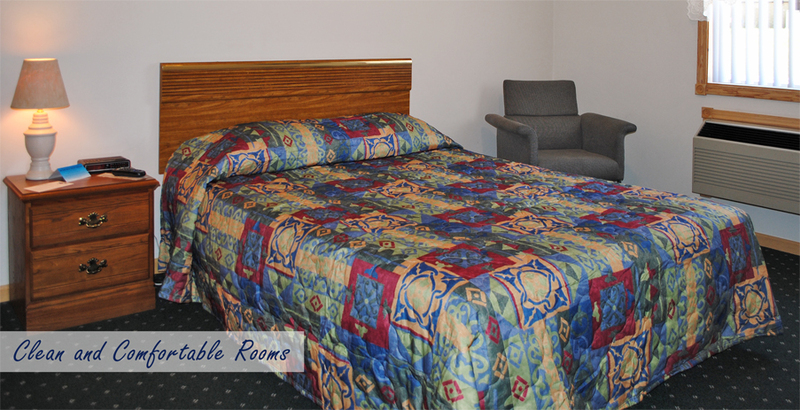 Customers say that they love it and that it's a really comfortable, friendly place to stay. Please note: The swimming pool will be closed during the winter months.